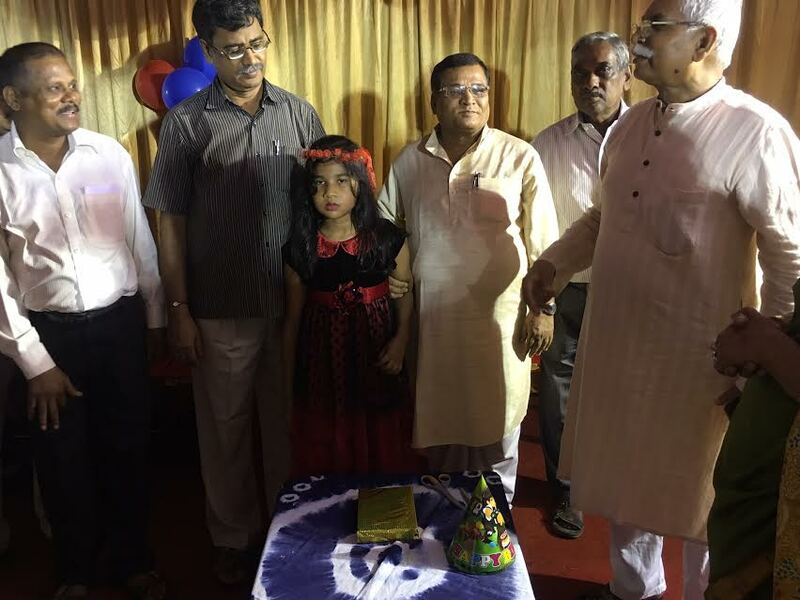 How I Celebrated Kuhu’s Birthday – 2016! 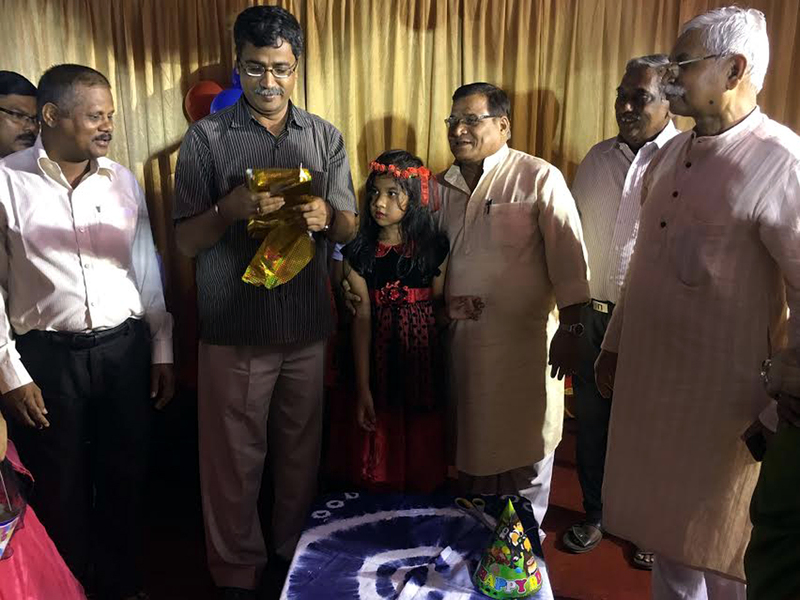 Come September 6, my daughter Suchismita and my son-in-law Ajay Kumar Mohapatra celebrate the Birthday of their daughter Adwiteeya Mohapatra (Kuhu) to the best of their ability and highest of our happiness. In 2016 I had wanted to add a surprise. I noticed before Independence Day that she was writing something seriously and keeping the same hidden quite cautiously. This provoked my interest. Once, when she had been to her School (she was then reading in Cl. 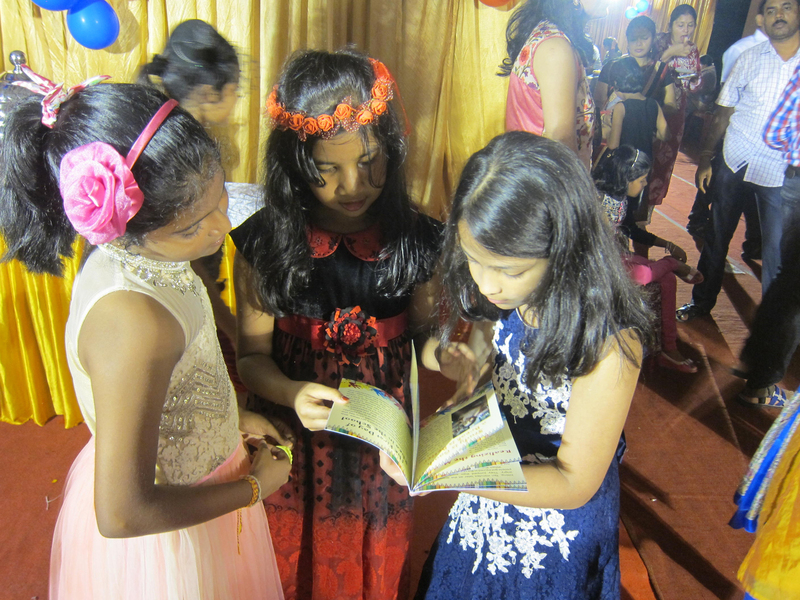 III at Delhi Public School – Kalinga), I reached at it. To my astonishment, I found that she was attempting to write a book of small stories. Tears rolled down my eyes, as I found some of them almost biographical. Her Birthday was not very far. How nice should it be, if I bring out a compilation thereof on her Birthday, I thought. Immediately I got it Xeroxed and restored her notebook to its original place. I had no time and the matter was to be typed as quickly as possible. 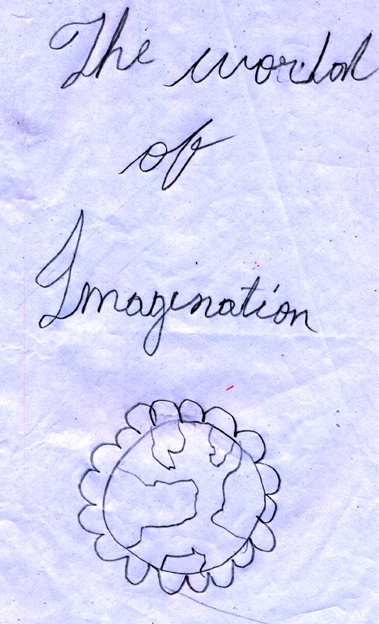 I shared my idea only with my trusted friend Sri Tusarkanta Satpathy. He took immediate steps to get it typed. Then I shared the matter with Truptee and Pabitra Maharatha, the couple that is a part of my life. Truptee is running a new publishing house –Shabdashparsha. She agreed to publish it. 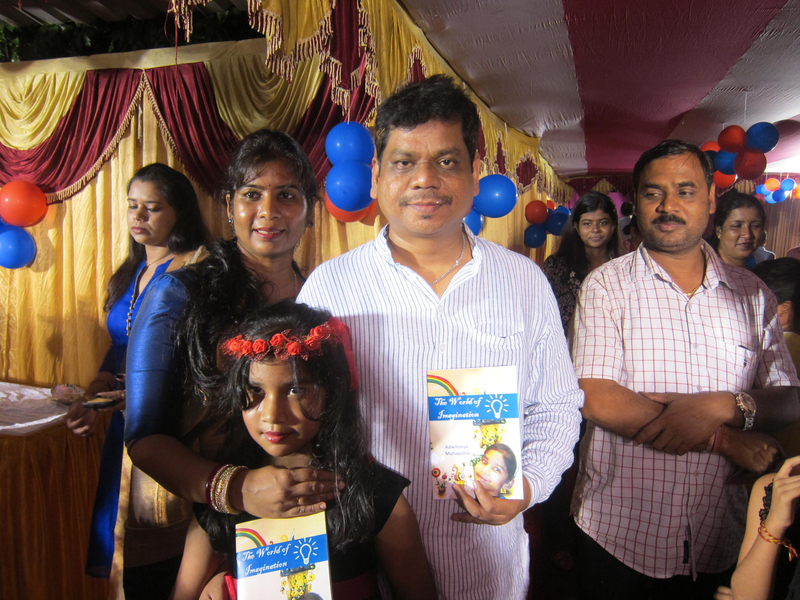 Both she and Pabitra kept the matter totally secret and printed the book in time. 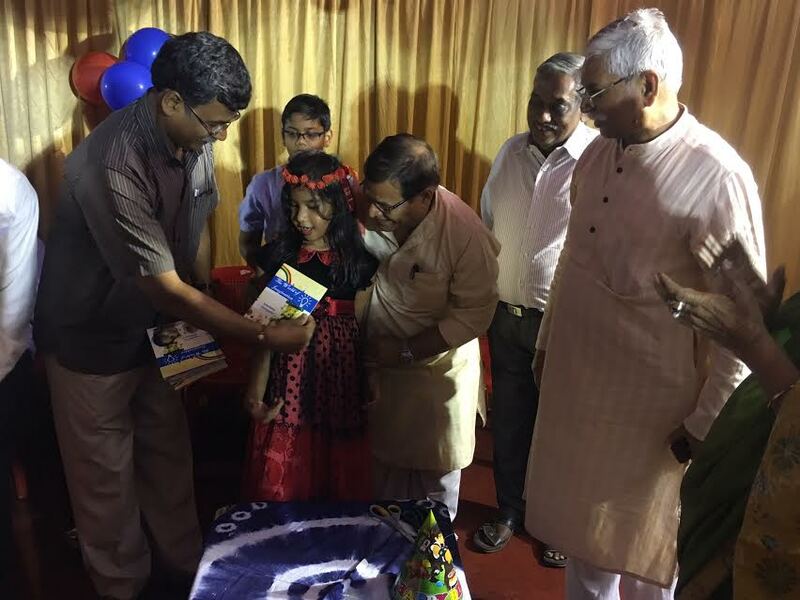 In the evening of September 6, I shared the secret with eminent online journalist Sagar Satpathy and requested him to address his mobile camera to every expression of Kuhu as she would be surprised to see her stories in a book form. 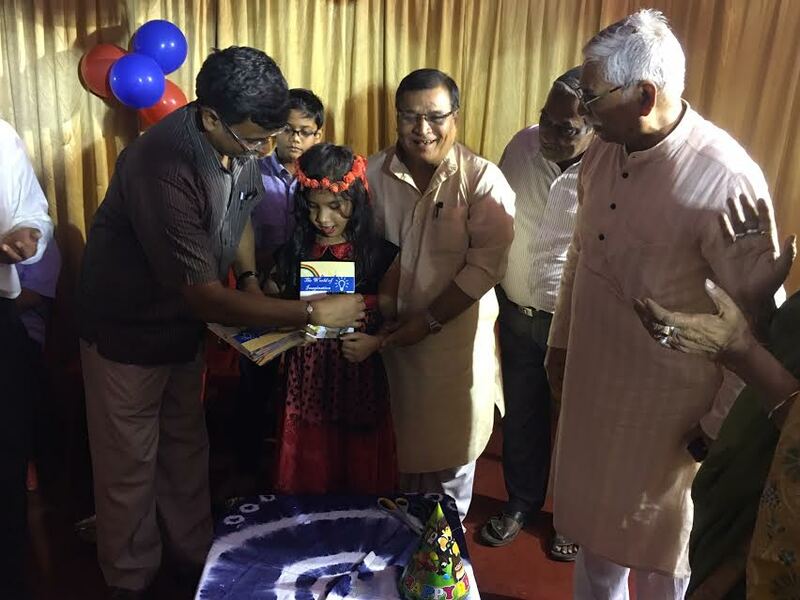 Then I shared the secrecy with my friend, eminent author and editor Asit Mohanty requesting him to release the book. 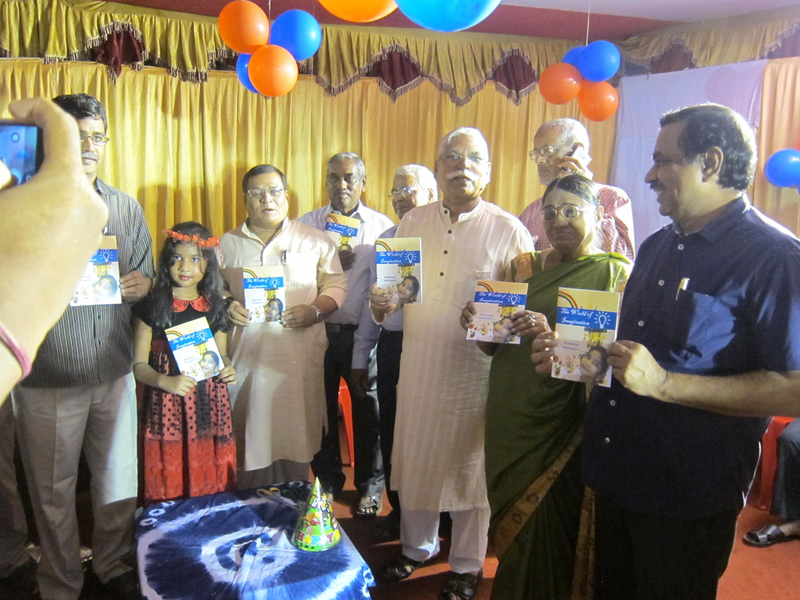 I requested my close friends Pradyumna Satpathy (Editor of Subartta), Umakanta Raut (Poet Aroop) and family friend Major Kumudini Barai to grace the book launching function. I watched how Kuhu reacted. Sagar has done a marvelous job. 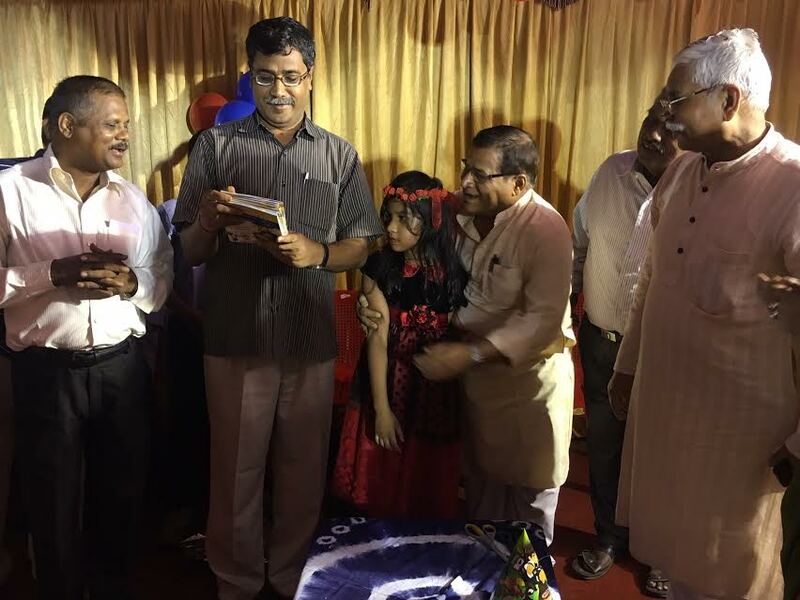 He has captured every reaction of Kuhu as her pleasure and surprise evolved stage by stage when Asit babu was opening the packet, which she was induced by Pradyumna babu to watch without knowing what it was. 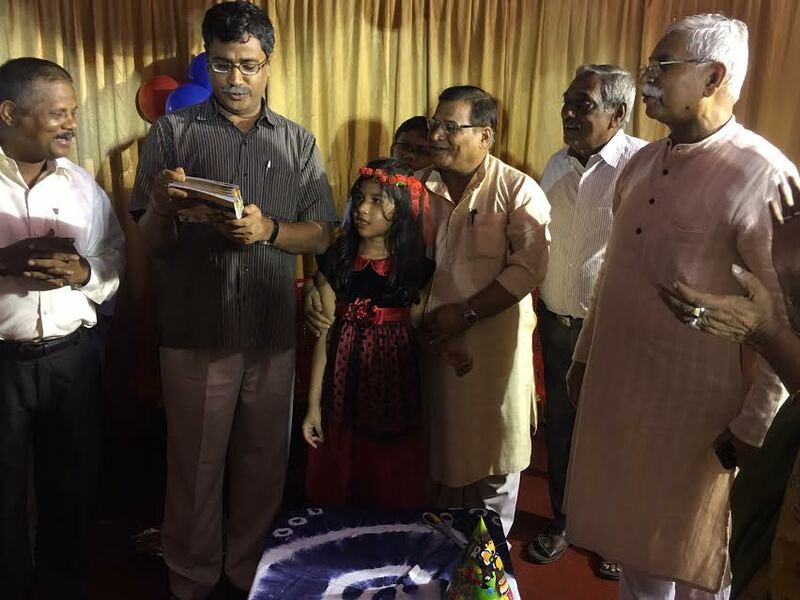 Her parents and all friends including hers and relations were watching with eagerness to see what was going to be unveiled. After keeping the entire matter jealously private till date, I am now thinking to share it with the public; as such a nice event deserves to be known to all. 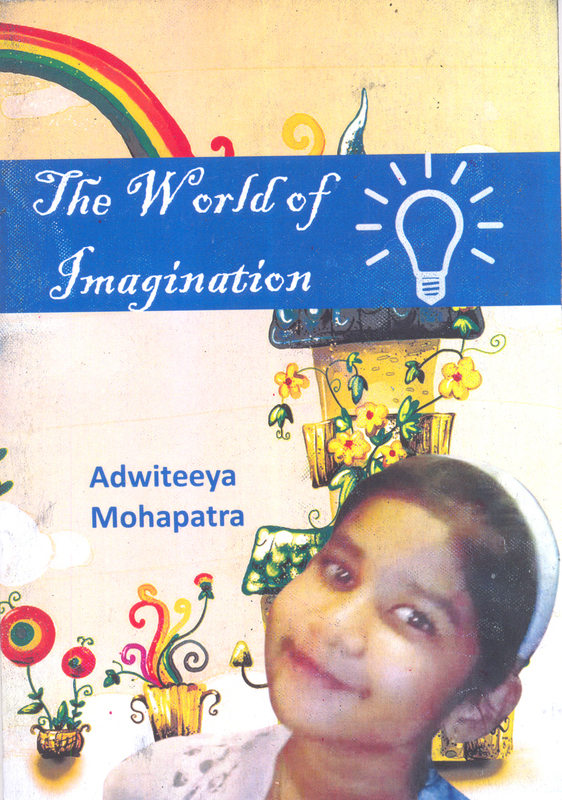 The pictures are set one after one to show how her surprise took shape over publication of her first book. It was also a surprise to my daughter and son-in-law. 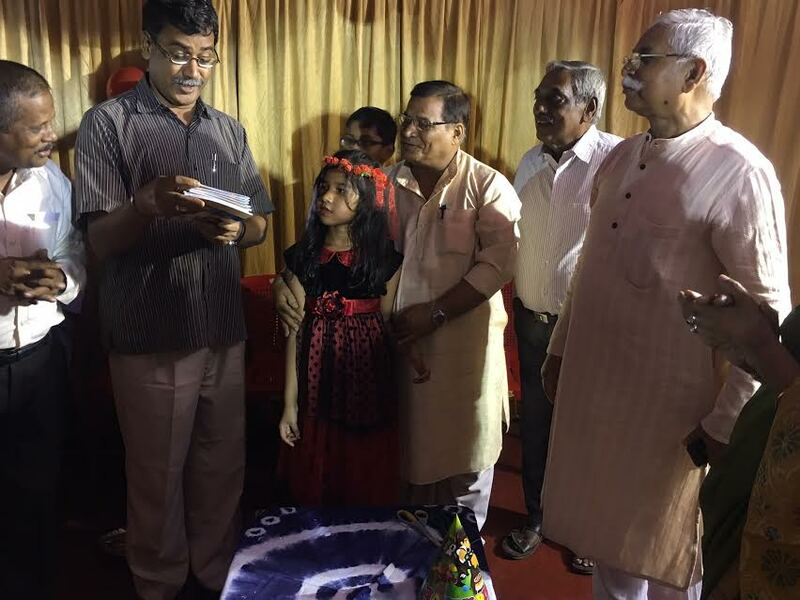 Here is she with her astonished, yet proud parents, happy family friends and her well-wishers joining them. Soon her friends joined her and it was a moment of pleasure for all of them. 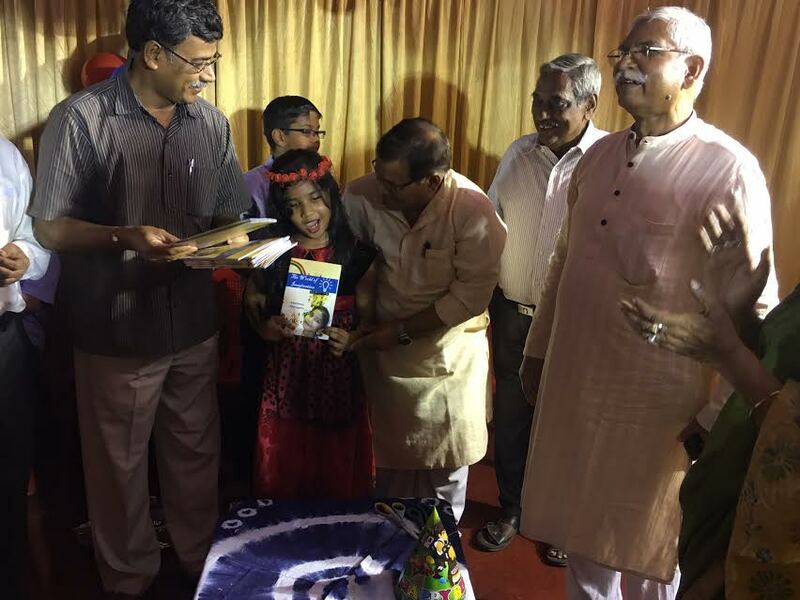 I feel utmost happiness, as I present the report on release of the FIRST BOOK OF MY ELDER GRANDDAUGHTER. 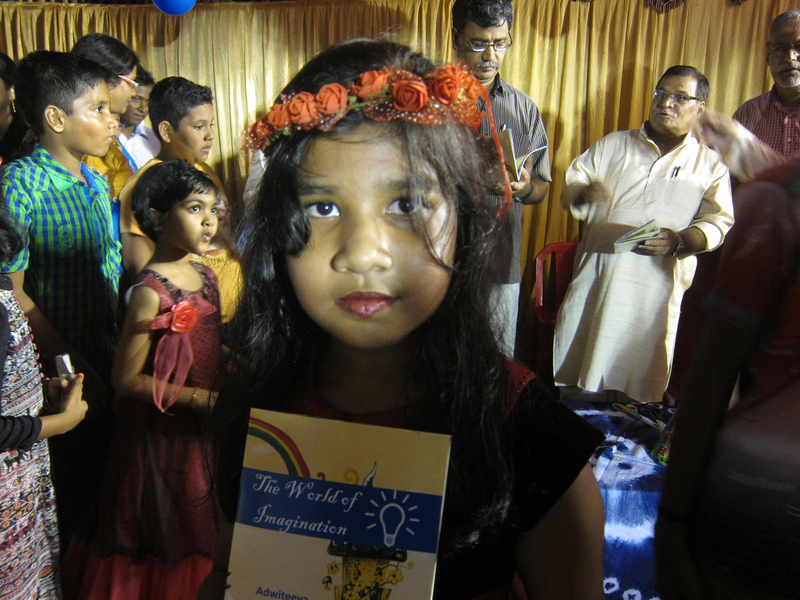 It is nice of a grandfather for his tiny creative bud to flourish the creativity and present her own book on her birthday keeping the matter secret till then and clicking her reaction . She is so witty and the grandfather is no less then her.May God bless her .Have a shower of creative blessings. ଏବେ ଆମ କୁହୁର ଏଇ ଗୁଣକୁ ସଶ୍ରଦ୍ଧ ସପ୍ରେମ ସହୃଦୟ ଶୁଭେଚ୍ଛା…! ସାହିତ୍ୟ ସର୍ବଦା ସମୃଦ୍ଧିଶାଳୀ ରହୁ … ସାହିତ୍ୟର ଜୟଯାତ୍ରା ଜାରୀ ରହୁ…!!! 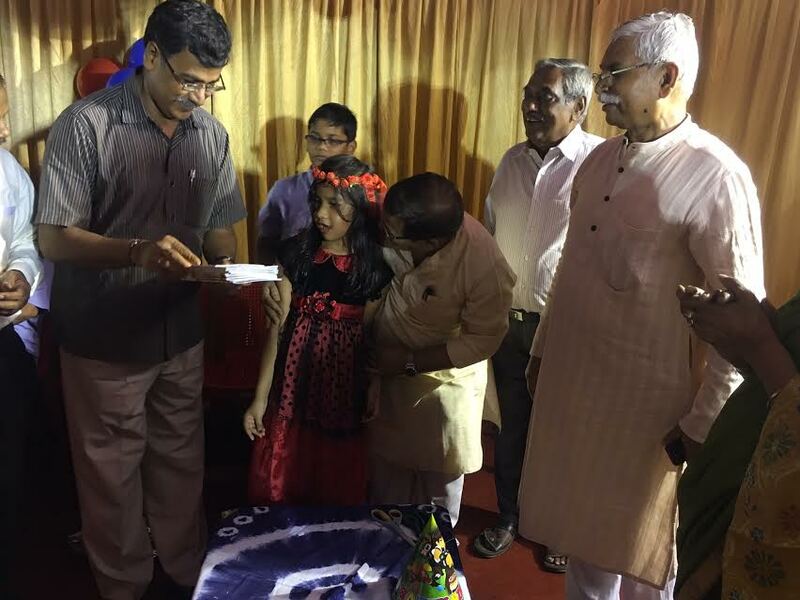 ‘ଓଡ଼ିଆ’ ଆଉ କେବଳ ‘ଓଡ଼ିଆ’ ରେ…!